Yes, it’s that time of year already. But worry not! 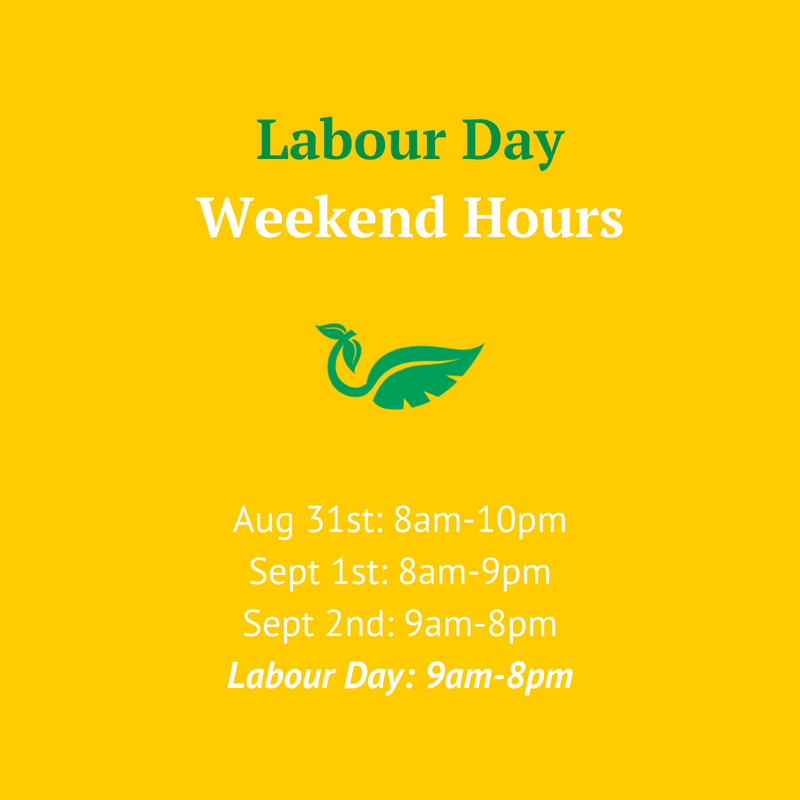 We’re open on Labour Day (Monday, September 3rd) from 9am-8pm. Whether you’re packing lunches for the kids or for yourself, or you just need to stock up on instant noodles and frozen dinners, we have everything to serve your back to school grocery needs.